Low-maintenance seat ends with realistic timber effect. 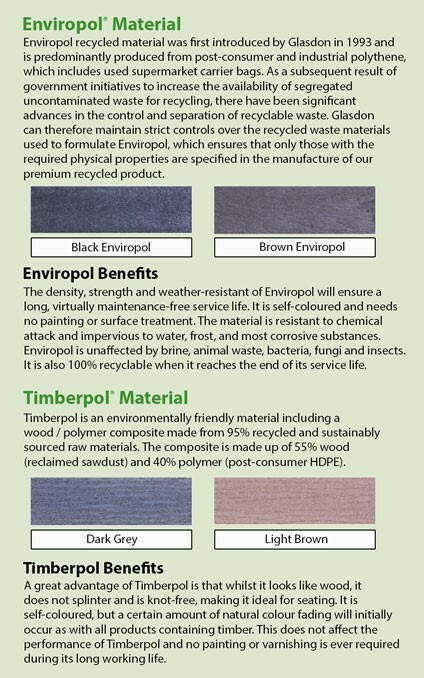 Slat colour options: Black Enviropol™, Brown Enviropol™, Timberpol™. 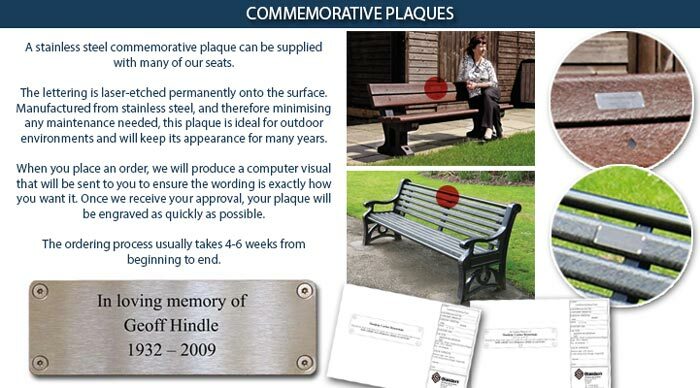 Seat frame: Mild Steel with Armortec™ Coating. Timberpol™ slats: 85kg (ground fixed), 165kg (ballasted). 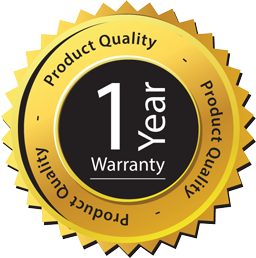 Enviropol™ slats: 75kg (ground fixed), 155kg (ballasted).